Skin resurfacing treatments are non surgical procedures that are designed to reverse the signs of aging, especially aging that has occurred on the face. Due to the fact that they do not involve traditional surgery, such treatments tend to be much cheaper and have less downtime than regular facial plastic surgery procedures such as a face lift, brow lift or eye lift surgery. Skin resurfacing treatments can either be carried out on their own, in which case they are usually done on younger men or women who have minor signs of visible aging, or they can be carried out in conjunction with regular cosmetic surgery to enhance the results a person gets from their procedure. Skin resurfacing treatments are non surgical procedures that are designed to reverse the signs of aging and remove surface imperfections. It is also not uncommon for a person to have a skin resurfacing treatment before or after a dermal filler, such as collagen, Restylane, Sculptra or Radiesse injections, as both types of procedures can produce complementary results. 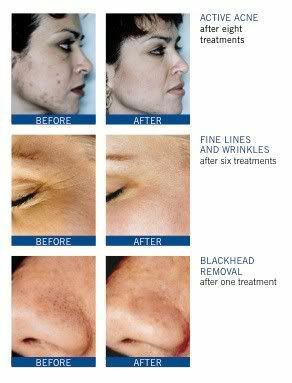 Traditionally, patients undergo treatments to reduce the appearance of fine lines, wrinkles and localized areas of pigmentation (i.e., hyperpigmentation). Although, skin resurfacing treatments can also be used for treating scars, blemishes and visible blood vessels (i.e., thread veins). 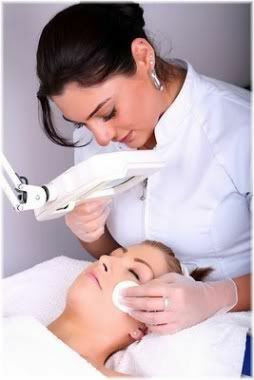 Microdermabrasion involves the use of finely ground crystal minerals to give your skin a deep scrub. Most people get microdermabrasion treatments done at a salon, but you can also purchase home use microdermabrasion machines and do it yourself. However, personal microdermabrasion machines are much gentler than what the professionals use and so they don’t give your skin as deep of a scrub. If don’t want to purchase a microdermabrasion machine, or pay for treatments, you could instead use an exfoliating facial scrub that contains the same mineral crystals used by the microdermabrasion machines. These won’t give you the same results, but they still can be very effective at exfoliating your face. Professional microdermabrasion treatments work by removing the uppermost layers of the epidermis (i.e., the stratum corneum), but because they do not target the deeper layers of the skin (i.e., the dermis) the results they produce are not permanent. As the upper layers of the epidermis are removed, new and younger looking skin is revealed underneath. Microdermabrasion can increase fibroblastic activity thereby inducing collagen production and reducing the visibility of fine lines, shallow wrinkles, sun damaged skin, large pores, age spots and uneven skin textures. This gives the face a refreshed and overall more youthful looking appearance. A typical microdermabrasion treatment session takes about 20-30 minutes to complete, although you will probably be booked in for a 60 minute slot so that your skin can be prepared before being treated and finished after being treated. Microdermabrasion is carried out without the use of an anesthetic or sedative as the procedure itself is relatively pain-free due to the fact that the uppermost layer of the skin is being targeted which is largely made up of dead cells. You may, however, feel a slight sting or pull as your skin is being treated. Medical microdermabrasion is performed by first applying a stabilizing lotion to skin to prepare it for the treatment and to remove products, such as make up or cream, that are on the skin. The skin is then blasted with very small crystals to gently loosen the dead layer of cells sitting on the surface of your skin. 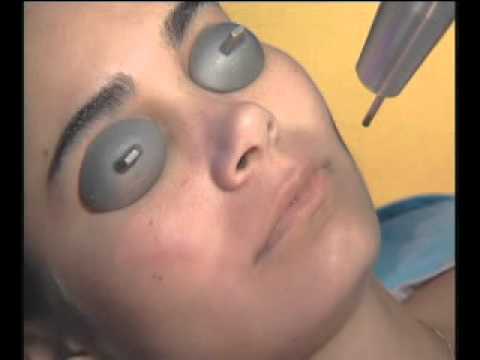 Most of these crystals and cells will be sucked away by the microdermabrasion device, although a residual layer of crystals will remain that will later be brushed off at the end of the treatment. Tiny crystals blast the skin and are then sucked back up again. When the whole face has been treated, a stabilizing lotion will again be applied to the skin to restore its natural pH level. After this, a bio peeling mask is usually applied to further exfoliate the skin and remove any remaining residual crystals. Overall, the actual procedure itself is very similar to how sand blasting works, which makes it a very effective exfoliator of the skin giving you far better results than what you would be able to do at home by yourself. With the top layer of dead cells removed, the new cells underneath it will be exposed thereby making your face feel smoother and look better with an improved complexion. As a side effect of microdermabrasion, your skin will also be stimulated to produce more collagen, will become thicker and will be better able to absorb anything that is put on it, such as your anti-aging cream. Multiple microdermabrasion treatments are usually required to obtain optimal results. Microdermabrasion tends to be most suitable for treating minor skin problems, such as fine lines, fine scars or sun damaged skin, and you will usually require 5-10 treatments to achieve optimal results. 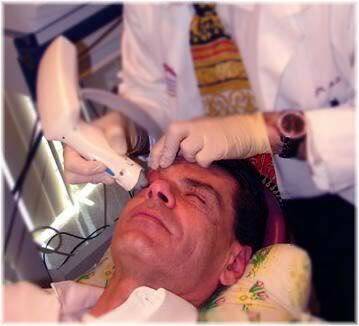 Microdermabrasion, however, is not very effective at treating deep wrinkles or deep scars. As these require mechanical dermabrasion devices to treat, which involve the use of small wire brushes or a sanding disc to grind down the skin. Downtime after a microdermabrasion treatment is minimal because you are only removing dead cells from the surface of your skin and are not exposing the underlying dermis layer. It is normal for your face to appear slightly red or flushed immediately after your treatment, although usually this discoloration will usually go away within 15-30 minutes. Although your face may be slightly reddened after treatment, it should return back to normal within an hour. You may also notice that for the first day your face may feel tender or tingle slightly, but you should feel well enough to continue on with your normal everyday activities. Finally, it is recommended that for the first few days after your treatment you avoid exposing your skin to strong direct sunlight and that you wear sunscreen when going outdoors, as your skin will be more sensitive to the sun in the days immediately after being treated. Microdermabrasion is considered to be a relatively safe skin rejuvenation treatment when carried out by a trained professional in a cosmetic center, dermatology clinic, health spa or beauty salon. However, overuse or misuse can lead to scarring and permanent damage of the skin. There are also some dermatologists who believe that microdermabrasion could accelerate aging of the skin as a result of the inflammation it causes, especially if a person undergoes many consecutive treatments. Exfoliating your skin too often can damage it. Although microdermabrasion can be used on all types of skin, the risk of suffering from an adverse reaction is greatest with those who have sensitive skin, as this skin type tend to be far less tolerant of the multiple treatments that are required. Furthermore, individuals with dark skin can experience pigmentation loss after having microderabrasion treatment, so if you have dark skin, you may want to consider alternative treatments, such as chemical peels. Finally, there is a risk that microdermabrasion can trigger a herpes simplex outbreak resulting in cold sores appearing on the face. It can also make you more susceptible to developing an infection, as the protective surface layer of the skin is removed by microdermabrasion. Microdermabrasion costs can vary depending on where you go, although generally, you are looking at somewhere in the region of $50 – $200 per session. 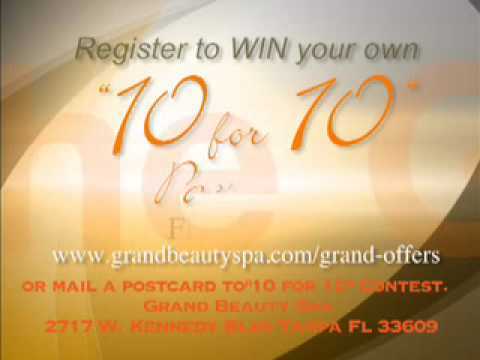 It is important to remember though, that you will require 5-10 treatments to get the best results. So your total cost could be as high as $2000. After all your treatments have been completed, you may want to book a maintenance session every 2-3 months to keep your skin looking in optimal condition. Lasers are like a hi-tech version of dermabrasion treatments. They involve the use of a high-powered laser to either burn away the upper layers of the skin, or heat the lower layers, to increase elasticity and firmness by stimulating the production of collagen as the skin heals itself from the thermal injury caused by the laser. Lasers can be a very effective facial resurfacing procedure to reduce the appearance of fine lines, shallow wrinkles, cross-hatched lines, age spots, birthmarks, broken capillaries, smokers lines and scars. 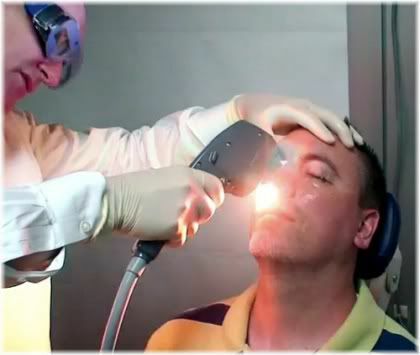 In some cases, lasers can also used to treat the early stages of skin cancer. Typically, laser treatments are used when other methods have failed to provide noticeable results or do not provide the level of results that one was hoping for. So in most cases, this treatment tends to only be used on mature skin, such as people in their late 30s or 40s onwards. 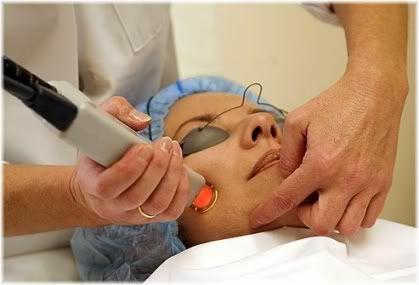 Different types of lasers can be used to treat the skin in different ways. If you have very deep wrinkles, then your cosmetic surgeon will probably choose to use an ablative (i.e., vaporizing) carbon dioxide or CO2 laser, as this tends to be the most effective at removing wrinkles from the face. The downside to this, however, is that you may suffer from prolonged redness or loss of pigment in the areas of skin that have been treated. 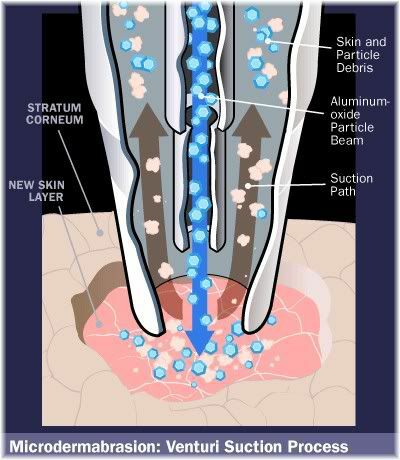 Although, it should be noted that this is less of a concern with fractionated CO2 lasers, as this type of laser treatment allows the skin the heal more quickly. 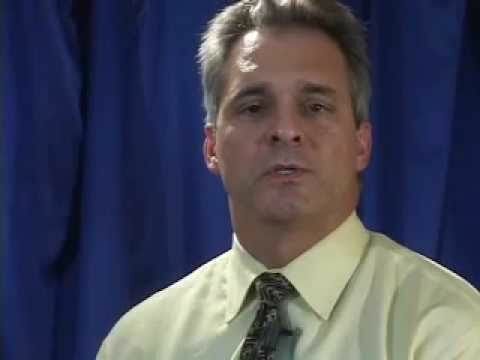 If you have very shallow wrinkles, such as young crow’s-feet at the corners of your eyes, then your surgeon may choose to use an erbium YAG laser instead of a CO2 laser, as this can still produce very good results whilst at the same time minimizing the risk of pigment loss and persistent redness. As with CO2 resurfacing, erbium resurfacing is ablative which means that the dead layers on the surface are removed to make way for fresh new skin. As heat from the laser penetrates into the dermis, collagen and elastin are stimulated to rebuild and tighten over the coming weeks. Treatments take about 30 minutes, and downtime can range from 2-5 days depending on the depth of the peel. You will normally require at least two to three treatments, and full results can be seen in six weeks. Unlike CO2 or erbium lasers which remove the surface layers of your skin, a non-ablative laser works by heating the skin underneath the surface so that collagen production can be stimulated to restore lost elasticity and firmness back to the skin. However, this means that unlike ablative lasers which provide the dual benefit of skin resurfacing and stimulating collagen production, non-ablative lasers will only stimulate collagen production and not resurface the skin. 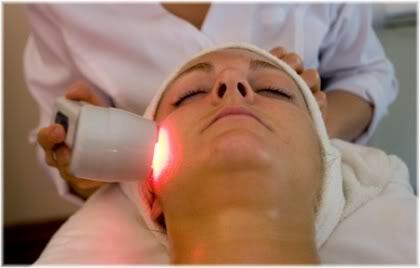 Yet another type of laser is the intense pulsed light or IPL laser. This differs from traditional laser skin resurfacing in that it uses multiple wavelengths of light simultaneously. There is also the possibility of alternating the wavelength of the light emitted by the laser, so that it can more effectively be used on different skin types and for treating different layers of the skin. Note: Plastic surgeons can use a combination of different lasers depending on the area of the face that is being treated and the type of problem that they are trying to correct. Laser skin resurfacing is usually done under local anesthesia with protective eyewear, although in some cases, you may be sedated under general anesthesia. If an ablative laser is used, the top layers of your skin will be targeted by the laser device. 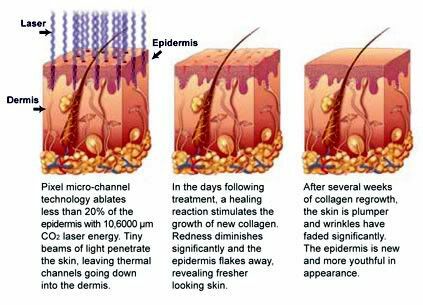 If a non ablative laser is used, the layers underneath the surface of your skin will be targeted. It is likely that you will be given antibiotics and antivirals prior to the day you start your treatment, and you will be advised to keep taking them until you have fully healed. This should take 7-10 days, after which, you will then be able to apply makeup. Most laser skin resurfacing treatments are done using a local anesthetic, so you will be awake during the procedure. Depending on the size of the area being treated, your procedure should take no longer than one or two hours and will be relatively pain-free as a result of the local anesthesia which you are given. Because ablative laser skin resurfacing damages the top layers of your skin and exposes the underlying dermis, you will get the equivalent of somewhere between a first and second degree burn. This puts your skin in to repair mode and causes inflammation which results in redness, swelling and increased sensitivity that can last up to three weeks. Depending on the type of treatment that you have undergone, it may take up to six months for your redness to completely fade away. During this time you won’t be able to expose your skin to the sun and will have to keep it well moisturized, so you will probably need to stay at home off work for at least 3-4 weeks before you fully recover. It is important not to go out in the sun during this period, because the vulnerable condition of your skin can greatly increase your risk of developing skin cancer. 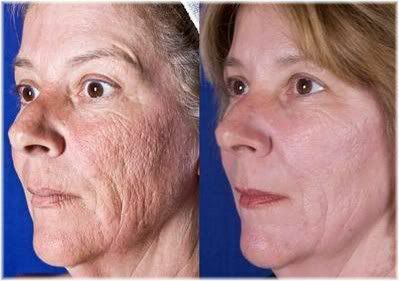 Before and after multiple laser skin resurfacing treatments. You will also have to take antibiotics during your recovery period to prevent you from developing an infection and you may also have to take painkiller medication if you were treated with a CO2 laser. Most people require multiple laser treatments before they get acceptable results. So you can expect to repeat this recovery period at least 2-3 more times. The greatest risk of laser skin resurfacing is that your skin may develop dark spots or may lose pigmentation which gives it a bleached appearance, but this may not be visible for up to one year after your initial treatment. Side effects from laser resurfacing are relatively uncommon, although dark-skinned individuals are at a greater risk of developing pigmentation problems post treatment. Pigmentation problems are most likely to occur on dark or olive-skinned individuals, so surgeons are usually more cautious about treating such skin types. If you have dark skin and want to have laser skin resurfacing, your safest bet is to use an erbium laser as this has a much lower risk of causing pigmentation problems. 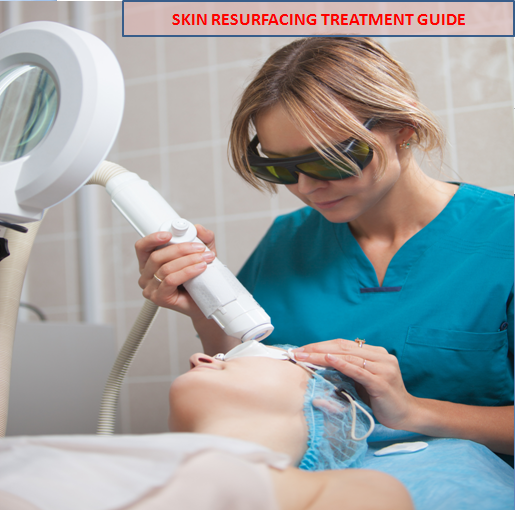 Other risks of laser skin resurfacing include scarring, skin infections and increased sun sensitivity. Most risks can, however, be greatly minimized if you have a test patch done first to see how your skin reacts before undergoing the full treatment. How much laser skin resurfacing costs will vary depending on the type of laser that you are being treated with and the size of the area that needs to be treated. Although, in general, you can expect a typical treatment to cost somewhere in the region of $800 – $7000 with results that could last for up to 10 years. Thermage is a relatively new and non invasive cosmetic procedure that leaves the surface layer of your skin intact. It works by stimulating the deeper dermal tissue layer under the surface of your skin with radio-frequency energy so that it produces more connective tissue, this then results in a slight tightening effect of the skin above. Thermage can be especially beneficial for improving the contour of the face by tightening sagging jowls, sagging cheeks, a sagging neck and for lifting the brow. However, the tightening and lifting effects created by Thermage are relatively minor and so this procedure is more suited for those with younger skin or without significant amounts of sagging. Thermage results in a slight tightening of the skin. If you have very lax skin (i.e., skin that sags a lot), Thermage is unlikely to be an effective treatment option for you and you would do better having a surgical face lift done instead. Thermage can also be used to treat wrinkled or sagging skin on the body, such as on the arms, legs and around the waist, but it tends to produce less noticeable results in these areas than it does on the face. Thermage treatment is carried out using a small hand-held device that emits a radio frequency energy to the dermis layer that sits underneath the epidermis. This energy heats up the dermis stimulating new collagen production and tightening existing collagen. Due to the fact that your skin is being heated underneath, you will feel a heating sensation when the radio frequency energy is applied to your skin. This, however, shouldn’t be too uncomfortable, as before this energy is applied a cooling liquid will be sprayed on the skin. Generally, you will achieve better results with higher levels of energy, so your surgeon will try to find a comfortable level of energy that they can use without causing you too much pain. Sometimes a topical anesthetic will be applied before your procedure begins, in which case, the amount of pain that you experience will be greatly minimized. Thermage works by applying radio frequency energy to the dermis layer of the skin. 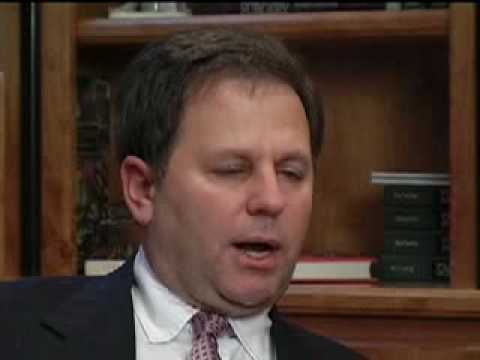 The actual procedure itself is performed relatively quickly. Usually, it takes about 30 minutes to do a single region of the face such as the forehead, or about an hour to do the whole of the face. A small percentage of patients will see immediate results directly after their treatment has been completed, although for most, noticeable results will be seen in about 1-6 months. It is estimated that around 10% of Thermage patients do not see any noticeable results from their treatment, so this is a risk that you have to bear in mind if you are thinking of having this particular procedure done. If you are under 50, you will probably only require one Thermage treatment with a maintenance session every one or two years. For those over 50, two initial treatments spaced six months apart will likely be needed in order to obtain optimal results. 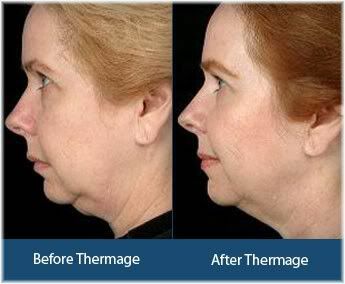 Results from Thermage can last 2-3 years, although some patients see results that only last for a few months. One of the main advantages of Thermage treatment is that downtime is minimal, and so most people should be able to return back to work on the same day or carry on with their normal activities without too much discomfort. As a non invasive treatment you should be well enough to return back to your normal activities within a few hours. Sometimes a patient may experience redness or swelling of the face, and in rare cases, bruising. But these usually subside within a few hours or days after which the skin will return back to normal. Because Thermage does not damage the outer layers of the skin, it is possible to wear makeup after your treatment. This may be desirable for some women, as makeup will have to be removed from the face before your treatment can be started. The Thermage device has been approved by the FDA and the radio frequency energy used in the treatment sessions has been in use for over 25 years, so this is now considered to be a very safe procedure. Possible risks include burning or scarring of the skin, the possibility of damaging nerves, destruction of underlying fat pockets which could cause dimples to appear and swelling and redness of the skin. The radio frequency energy applied to the skin can sometimes result in reddening or burning of treated areas. The most common risks, however, are swelling and redness, but these usually pass within a few hours or days. The large majority of patients report no adverse reactions to Thermage treatment. Another possible risk that you should be aware of, it that of wasted money. Around 10% of patients may receive no noticeable results from their treatment. But this is something that you won’t find out until after your treatment has been completed. Thermage can be quite an expensive skin rejuvenation procedure with prices going all the way up to $5000, although most of the time, you can expect to pay around $2000-$3000 for a full facial procedure. A chemical skin peel is a solution of chemicals that are designed to remove the surface layers of your skin so that it looks younger, newer and fresher. 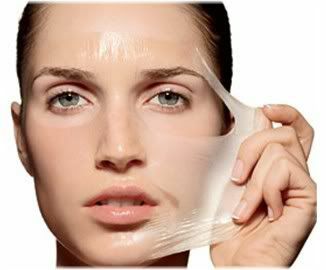 A chemical peel gets its name because after a few days the old dead skin begins to peel away. This is different to how traditional skin resurfacing procedures work as most remove the upper layers of skin immediately. How many layers of skin are removed depends on the type of chemical skin peel you use and the results that you are hoping to obtain. For minor problems, such as fine wrinkles or a little bit of sun damage, a light chemical peel will do. With light chemical peels recovery usually takes one to five days. For heavy skin damage, such as deep scars and severe sun damage, deeper chemicals peels will most likely be required with an expected recovery time of seven to fourteen days. Whilst deeper chemical peels have the potential to give you better results, they are not always the best option. You may, for example, have a chemical peel which is too deep and causes scarring on the face as a result. So usually it’s best to start with a lighter peel and see what sort of results you get, and then, if needed, move on to a stronger peel. Alpha hydroxy acid skin peels are designed to remove a very fine layer of dead cells from the surface of your skin. Usually, they contain lactic, glycolic and fruit acid to help smooth your skin and make it look fresher. Alpha hydroxy acid peels are also often used in combination with Retin-A treatments to produce more noticeable results, especially when treating young wrinkles or fine lines. However, whilst alpha hydroxy acid certainly can help to improve the appearance of your skin, it’s far too weak to be used as a treatment for skin problems such as deep wrinkles or facial scarring. So AHA peels are more of a maintenance treatment to help keep you looking at your best, rather than a serious anti-aging treatment. Alpha hydroxy acid peels are a good maintenance treatment, but don’t expect them to reverse serious skin damage. People with dark skin are often advised to have a glycolic acid peel before undergoing a stronger chemical peel. The reason for this is that dark skin has a higher risk of developing hyperpigmentation from a chemical peel, and when pre-treated with glycolic acid, hydroquinone or Retin-A, the risk of this happening can be reduced. In addition, undergoing a pre-treatment will also help a peel to act more evenly across the face. Jessner’s skin peels, also known as “Coombe’s formula”, contain lactic acid, salicylic acid and resorcinol. This chemical peel can provide a light to medium depth treatment, making it suitable for lightening pigmented areas and also for treating sun damaged skin. 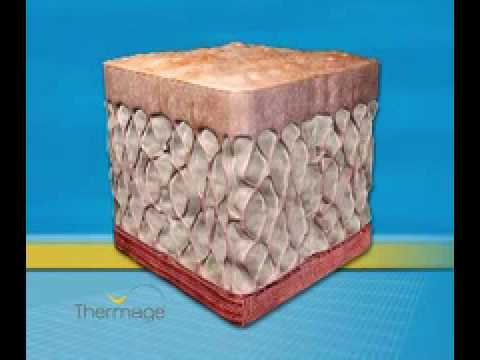 During treatment, several layers of the Jessner’s solution are applied to skin, with each new application producing a mild heating sensation that lasts for about 3-5 minutes. As each new layer is applied, the heating sensation will gradually decrease in intensity. Skin peeling away four days after a Jessner’s peel. After a Jessner’s peel, you can expect your skin to peel and flake off for about a week. A second treatment can then be carried out in four to five weeks if you are not satisfied with the results that you get from your first treatment. TCA skin peels provide a much deeper treatment than AHA or Jessner’s peels and have quickly become one of the most popular types of chemical peels for home and professional use. TCA peels can be used to treat fine lines and wrinkles, sun damaged skin, remove precancerous lesions and can even help to restore lost elasticity. There are different strengths of TCA peels which can range from a 5% to 40% concentration of trichloroacetic acid (TCA). Anything under 15% is generally considered to be safe to do at home without an anesthetic. But if you are using a TCA peel with a concentration above 15%, then it is recommended that you see a doctor or medical professional for sedation or anesthesia and monitoring of your vital signs. A physician will also give you some antibiotics or antivirals the day before your treatment and up until you have healed to minimize the risk of an infection occurring, which is something that you won’t necessarily be able to acquire on your own. 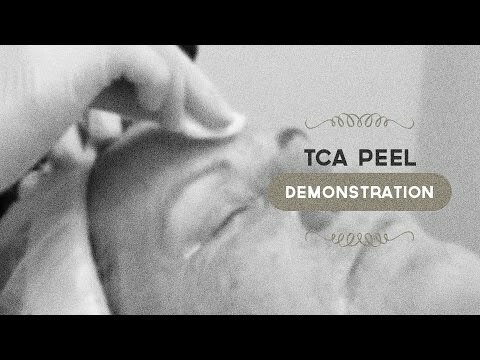 TCA peels above a 15% concentration should only be done by a professional. Depending on the strength of your TCA peel, it can take anywhere from three to ten days for your skin to completely peel away and you are likely to experience some discomfort during this period. After your skin has peeled, your face may look slightly red and feel sensitive for a few days. During this time you should avoid exposure to strong direct sunlight and keep your face well moisturized with a good anti-aging face cream or a vitamin C containing serum. 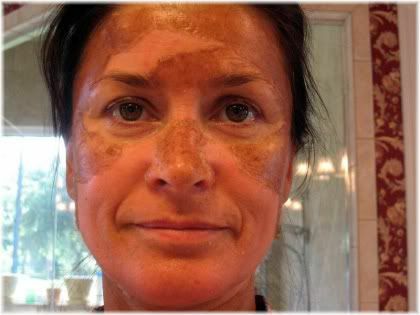 Croton oil, also known as a phenol peel, is one of the strongest chemical peels available. The main benefits of using croton oil are that it can reduce or completely eliminate the appearance of deep wrinkles, lighten pigmented areas, restore skin elasticity and increase skin tightness. Because this is such a strong peel, you will require an anesthetic when you are treated and also some antibiotics and antivirals both before and after your treatment. The healing phase takes around seven to fourteen days, and most people will be given pain medication to help them with any discomfort they feel. The main disadvantage of having a croton oil peel is that your skin may look red/pink for up to six months. Women should be able to conceal this discoloration with the use of a foundation or concealer, and men may have to consider wearing makeup until their appearance returns back to normal. One limitation of a croton oil peel that is worth being aware of, is that it can’t be used on the neck or the body like a TCA peel can. How you react to a skin resurfacing treatment can vary depending on your genetic skin type (i.e., whether you have acne, sensitive, normal, oil, dry or combination skin), your age, the type of treatment that you undergo and the overall condition of your skin. Different skins respond to different treatments in different ways. As a result, it is not possible to tell a person exactly what they can expect to happen, but it is possible to give them some general guidelines as to what could happen when undergoing a facial rejuvenation treatment. Below you will find some general tips and advice that apply to the previous procedures we have discussed thus far. After your treatment, your surgeon may give you some antiviral and antibiotic drugs to ensure that you do not develop an infection during your recovery period. 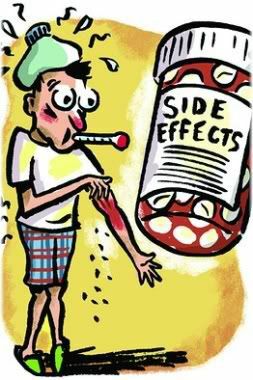 You may also be given these medications a few days before your treatment. Immediately after your treatment, you may be shocked by the appearance of your face. Your skin is likely to be red, inflamed, peeling and sore. This is normal and your skin will quickly heal up. 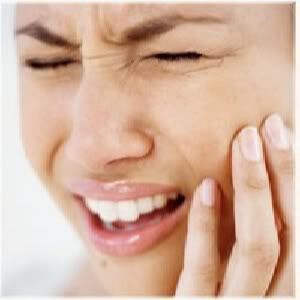 Swelling is something that is most prominent during the first few days and should quickly go down after 3-4 days. Having a swollen face can make it difficult to do things for yourself, so you may want to have someone around who can help you out. 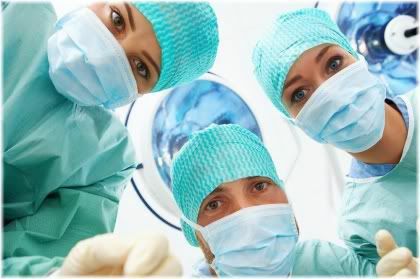 You will be in the most amount of pain immediately after your procedure, or several hours after your procedure if an anesthetic has been used. Be aware of this and mentally prepare yourself for it. If you have a light TCA peel, then you probably won’t experience much pain after your treatment. However, if you have laser skin resurfacing or a croton oil treatment, then you are likely to experience significant pain after your treatment because these go much deeper into your skin. Fortunately, you won’t have to deal with all the pain as your surgeon should give you some painkillers which will allow you to function throughout the day. 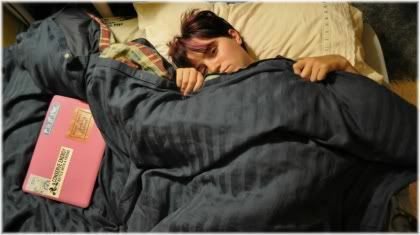 The times that you are likely to feel pain are during the night and when you wake up in the morning as the effects of your pain-killer medication starts to wear off. You may be required to see your surgeon either daily or every other day for the first week after your treatment to make sure that everything is healing properly and that there are no signs of an infection. Since your face could potentially be swollen during this time, you may not be able to drive your car and so you might need someone to take you to your surgeon for your checkups. After your skin resurfacing treatment, you need to ensure that you spend adequate time recovering so that you can get the best results possible without suffering from any complications. During the recovery period you should relax and avoid all forms of vigorous exercise. You should also avoid doing anything that makes you sweat because this may cause the ointment or cream you have on your face to run and get into your eyes. Since your face is likely to be swollen for a few days, you should again avoid driving because your eyesight is likely to be impaired somewhat. You may also feel drowsy from the medication that you are taking, so any other potentially dangerous activities should also be avoided. Depending on the type of treatment you have done, you may have to spend a few days recovering at home. Overall, it is important to give yourself enough time to make a full recovery, and depending on the type of treatment that you have had done, this could mean staying at home or indoors for a period of at least 7-10 days. During this time you should have enough food to last you for this period and also have something to entertain yourself with such as books, games, music and movies. The first few days of recovery are likely to be the toughest, as it will be during this time that you will experience the most amount of discomfort. If you can, ask a friend to help you out or try to stay with a family member who will be able to look after you and provide you with emotional support. Having someone to help you out is especially important after your very first skin resurfacing treatment, because the symptoms that you experience will be new to you and so you may feel vulnerable by yourself if you have nobody to turn to for support. If you have a laser or chemical peel, it can take several months for your skin to fully heal and recover. While your skin is red and inflamed it is still generating collagen, so your results won’t be visible until after that redness has gone. Other treatments, however, such as Thermage, may result in little or no redness of the skin, but can still take many months before you will see the full results of your treatment. If you decide that you want to have a second treatment, you will need to speak with your surgeon about how soon you could get one done. In most cases, you won’t be able to get another treatment until six or nine months after your first or after the recommended amount of time that your surgeon tells you to wait has passed. When judging your results, it is therefore very important that you give yourself enough time to make a proper judgement. It can, for example, be disappointing not to see any immediate results after your treatment and then to think that it hasn’t worked for you. But if you are patient, then eventually you should see a noticeable improvement. A good tip when trying to judge how effective the result of your treatment has been, is to take a picture of your face on the day before you have your procedure done. You can then take a picture every month after your first treatment to see just how much, or how little, your face has actually changed.